Ranhill Energy and Resources Berhad, a energy and water company is scheduled to be listed in Main Market of Bursa Malaysia on the 31st July 2013. The Initial Public Offering (IPO) consists of 407 million shares at an indicative IPO price of RM1.85 per share at RM1.00 par value. Out of these, 328.7 million shares will be offered to institutional investors, while 78.3 million shares will be offered to retail investors including eligible directors, employees & Malaysian public. The institutional price will be determined by way of book building while for the retail application, it is payable at RM1.85 upon application. If the final retail price is lower, the difference will be refunded accordingly. The proceed from the IPO (RM753million) will be used for redemption of Islamic Medium Term Notes & Sukuk , acquisition settlement, business expansion to China and listing expenses. Ranhill Energy and Resources intends to pay 50 to 70 percent of profit after tax as a dividend. For financial year end 31st December 2104, Ranhill Energy and Resources intend to pay a minimum of 60% of profit after tax as a dividend. Based on At an IPO price of RM1.85 and 2012 figures, the dividend yield is in between 4.53 to 6.34 % or 8.4 – 11.7 sen per share. The table below is the financial summary of Ranhill Energy and Resources. For those who are interested in Ranhill Energy and Resources IPO, you may subscribe at ATM machines or via Internet Banking. The retail subscription period is opened until 11th July 2013 at 5pm. Tentative balloting date is on 15th July while the allotment date is on 29th July 2013. 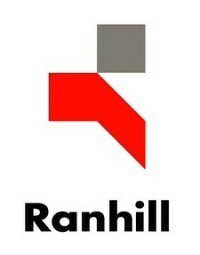 Ranhill Energy and Resources stock name in Bursa Malaysia is “RANHILL”. View Ranhill Energy and Resources prospectus in Bursa Malaysia webpage. What do you think about Ranhill Energy and Resources IPO? Are you going to subscribe? what is your opinion about Ranhill? Hi, I think this is a good company & intend to pay rather good dividend. I also plan to subscribe. Why the year 2010 , profit after tax earning show much ? much more than revenue? In the financial statement, there is big “other income” which is related to non-taxable of RM1,370.1 million arising from the transfer of water related assets to PAAB. in 2000, Ranhill Worley very aggressive in O&G section, almost involves every Petronas projects. besides, Worley Parson in Aust also expansion fast that time. the Lynas also designed by Worley, partial portion sub to Ranhill WorleyParsons. However, good moment not lasting. In 2010 RWP business slide in O&G section. delisted in 2011. I heard it was ban by Petronas for some reason. No new project for past few years, recent year retrenchment 600 engineers. It like disappear in the big industry event OGA 2013, i didnt see their booth. This is only O&G section from my understanding, I have no idea its performancein Power IPP, Water supply in Johor, environment section. what is the O&G % weight in overall. Is the balloting result out? Unable to find it or read from any paper. The result already out. If you apply through internet banking, I believe you should be able to know whether you get it or not.